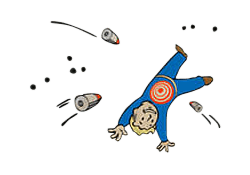 Moving Target is a Perk in Fallout 4. It is associated with the Agility Stat. Rank 1:They can't hurt what they can't hit! Get +25 Damage Resistance and +25 Energy Resistance when you're sprinting. Rank 2: You now get +50 Damage Resistance and +50 Energy Resistance when you're sprinting.